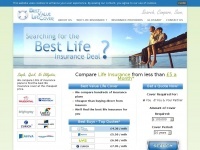 Compare the UK's top life insurers with Best Value Life Cover. We cover almost all life products including mortgage life insurance, family life insurance, personal life insurance, critical illness cover and many many more. Your in safe hands with Best Value Life Cover.